The University of Florida/IFAS Extension Charlotte County and Florida Sea Grant are pleased to announce their upcoming program, a 2016 Mangrove Symposium, which will be held on February 23rd, 2016 at the Charlotte County Eastport Environmental Campus, 25550 Harborview Road, Port Charlotte, FL 33980 from 8:30am – 3:30pm. 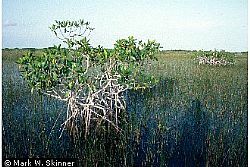 Symposium speakers will discuss the role and value of mangroves; rules and laws that govern mangrove trimming; and mangrove pruning techniques. The cost to attend is $20 with lunch included. Registration is online at the link below. Space is limited so pre-registration is required. For more information, please contact Betty Staugler at (941) 764-4346 or by email. Continued Education Units: 4.25 ISA and 4 FNGLA CEUs are being offered for professional mangrove trimmers who attend the symposium.